Java is a very popular coding language originally developed by Oracle Corporation in 1995. One of its most notable attributes is its ability to be run on a range of different platforms. Java can be used to power websites, desktop software and Android apps. Java is a good choice of language to learn if you’d like to take advantage of its cross-platform compatibility. Although writing Java web applications and Android apps are still very different tasks, there’s only one coding language you need to learn. Here are 5 of Code Conquest’s top Java training recommendations. There’s something from every category – free and premium, online and offline, basic and extensive, hands-on and theoretical. Guaranteed, one is the perfect training for you. This is the perfect training for a newcomer to Java who wants to move onto more advanced material later on. Once you finish Java Essential Training, you can move onto the other Java courses in the lynda.com library. 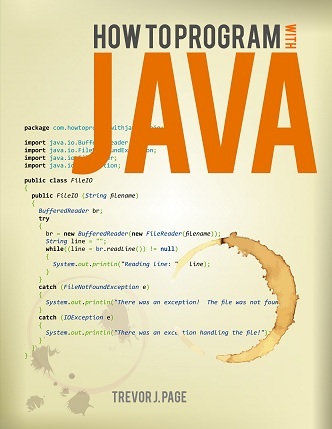 This paperback book is a multi-award-winning classic on the Java coding language. Thinking In Java is in fact more than just a book, with a companion website and a Java seminar available online. This book covers the core Java fundamentals including object-oriented programming and design patterns. There are also 500+ sample Java programs. It’s a good choice if you want to get a good grip on the Java language itself. Part of the O’Reilly series, Head First Java is a visually rich book that combines explanations of Java concepts with puzzles, graphics and interviews. This book is for you if you have minimal experience with Java and want a guide that will help you truly understand the language and think like a Java coder. It’s available in paperback and Kindle editions. How to Program with Java is an e-book designed with beginners in mind, with minimal ‘fluff’ and a focus on the truly important concepts in Java. As well as a PDF e-book, the package includes bonus video tutorials for creating a fully functioning web application. It’s the training for you if you prefer ‘plain English’ books to technical, detailed text books. If developing Android apps is your goal, you should consider choosing dedicated Android training. Android development is a specialized discipline, and can be very different from standard Java development at times. This website recommends a range of different Android training sources. Most notable are the online Android courses from Treehouse and Lynda.com that run alongside parallel courses for the iOS and/or Windows Phone platforms.